Privacy is a huge problem in the age of information technology. In many cases, we don’t want someone else knowing what we are doing (or we have done) with our personal devices. There are many ways that you can do to prevent someone else tracking your behavior with your devices. If it’s impossible to lock the device, you can lock a specific app to prevent someone else using it, including Firefox. By default, Firefox comes with a number lists of security. But, there is no chance to us for protecting it with a password. Thankfully, there are some add-ons that we can use to do that. This article will show you how to protect your Firefox with password using Master Password+ add-on. 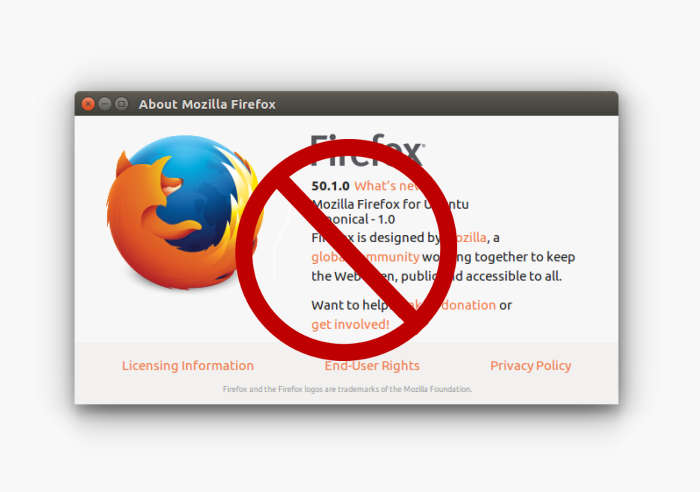 In this article, I use Firefox 50.1.0 running on Ubuntu 16.04. Click on the three-line menu icon on the top right of your Firefox and choose Add-ons. Type “master password” on the search bar and hit enter. Install “Master Password+” and restart your Firefox. Click on the three-line menu icon on the top right corner and choose Preferences –> Security. Check the “Use a master password” option. You will be asked to enter the password. Once you done setting the password, click on the OK button. 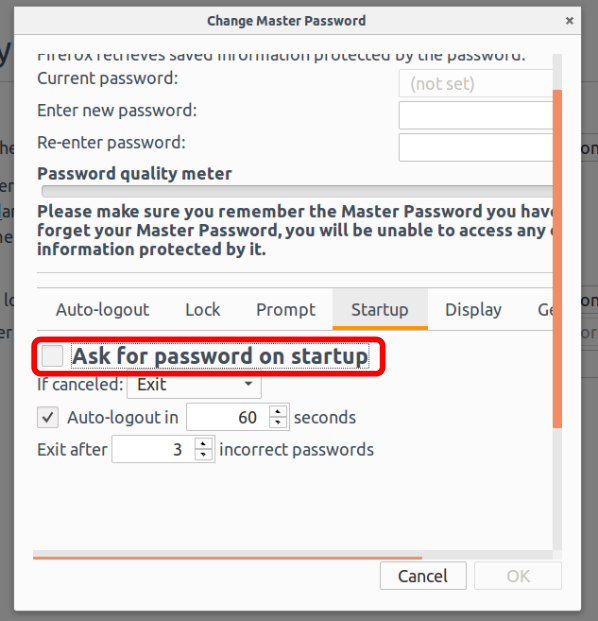 Before clicking the OK button, be sure you have checked the “Ask for password on startup” option on the Startup tab.